Apple has a long history of introducing groundbreaking technology in one device, only to gradually carry it over to the rest of its product lineup in the ensuing years. With that in mind, the newly released iPad Pro with 120Hz ProMotion display could hint at the future of Apple's portable devices —particularly as the company pushes into augmented reality and virtual reality. 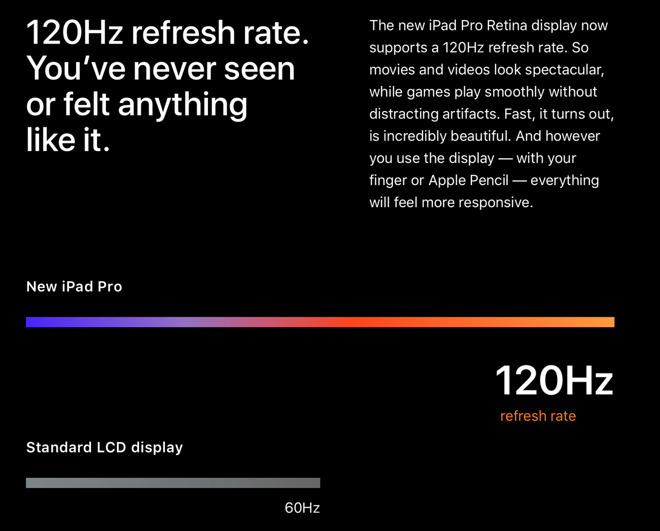 The improvement found in the 120Hz ProMotion display in the new iPad Pro is immediately apparent when used, offering more fluid response time when doing basic tasks like scrolling and zooming. The advantages grow even further when the Apple Pencil is brought into the mix, allowing for an industry-best response time that makes the new iPad Pro feel even more like drawing on a real canvas. But higher framerates can also allow for more lifelike content on screen —a particularly useful capability for developers tapping into Apple's new ARKit tools coming in iOS 11. It's likely that the 120Hz ProMotion display will make the new iPad Pro lineup the best way to experience augmented reality apps for iOS 11 this fall. The question becomes, if and when will the 120Hz ProMotion display make its way to Apple's other products, namely the iPhone? That's tough to say, but it's likely an inevitability at some point in the future. While Apple's ARKit developer tools don't have users strapping a device to their head (yet), high-framerate hardware with fluid response times is crucial for a quality experience in virtual or augmented reality. Current popular VR headsets on the market like the HTC Vive —which will be compatible with Apple's forthcoming macOS 10.13 High Sierra update —operate at 90Hz, or 50 percent higher the refresh rate of a typical 60Hz device screen. This allows for a more lifelike VR experience, and reduces issues such as motion sickness that come from cheaper, less capable VR devices. For an example of a poorer VR or AR experience, Apple fans need only look as far as their iPhone. Platforms like Google Cardboard allow for an iPhone to be used with virtual reality applications, but the rudimentary experience can be headache inducing and is not meant for long periods of use. 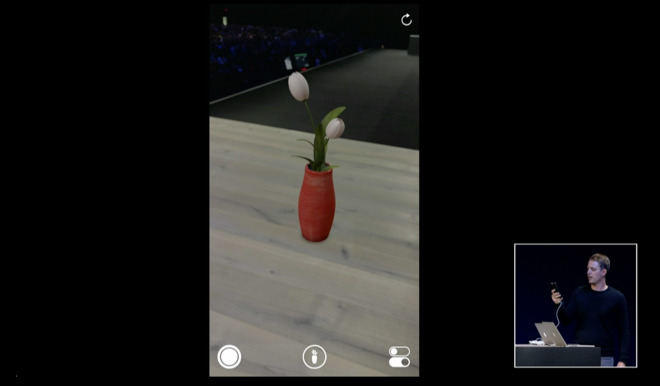 For now, Apple's ARKit is a decidedly two-dimensional affair, with an iPhone or iPad running iOS 11 designed to be held in front of the user's face, not strapped to it. But it's not hard to see how Apple could be paving the way for accessory makers to build Made for iPhone licensed hardware to compete with Samsung's Gear VR platform. Or perhaps Apple could build its own dedicated AR/VR hardware. Multiple rumors have suggested Apple is working on its own AR glasses in collaboration with Carl Zeiss that could debut as soon as 2018. Whatever approaches Apple takes with AR and VR going forward, it's likely that higher refresh rates and the company's ProMotion technology will play a crucial role. Consider Force Touch. First introduced in MacBook Pro trackpad and Apple Watch in 2015, it came to the iPhone 6s —rebranded as 3D Touch —later that same year. It's still not available on the iPad, though. Adoption for the True Tone display, however, hasn't been as rapid. 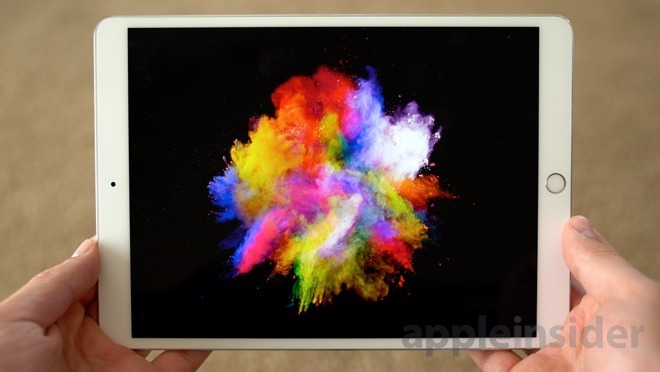 The environment-matching color changing display debuted exclusively on the 9.7-inch iPad Pro in early 2016, and only made its way to the larger 12.9-inch iPad earlier this month. True Tone has yet to appear on any other Apple devices, though rumors suggest it will come to all three new iPhones this fall. Apple typically debuts new technology on devices where it is technically feasible. Putting a Retina display on the iPhone 4 first made sense, because its 4-inch display was at the time among the smallest in Apple's product lineup. 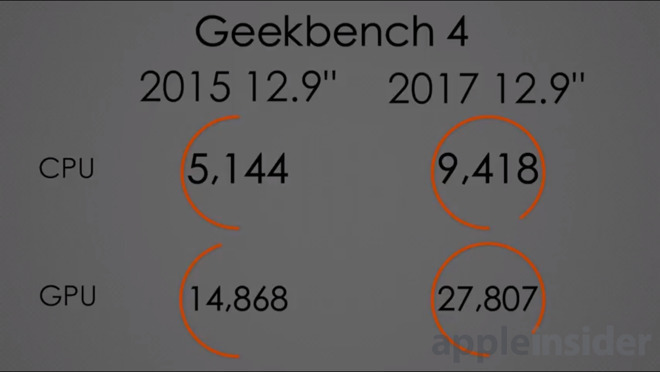 Subsequent Retina display upgrades followed, for the most part, in terms of screen size: first the iPad in March of 2012, then the MacBook Pro in June of 2012, followed by the iMac in late 2014. Sometimes Apple debuts technology where it makes the most sense, or where it was pioneered for a specific reason. Consider the Taptic Engine that was introduced in the Apple Watch to give vibrations and haptic feedback a more personal feel —it eventually made its way to the iPhone and was enhanced again last year for the iPhone 7 series. Anyone who has used Apple's new iPad Pro and experienced the 120Hz ProMotion display can immediately see the advantages of a higher refresh rate. But accomplishing it requires some behind-the-scenes technical wizardry, including a higher capacity bandwidth between the display and processor, and the ability to adjust the screen's framerate on the fly and reduce power consumption based on the type of content being displayed. All of that helps to explain why ProMotion likely debuted in the iPad first —a much larger chassis and battery makes it possible for Apple to offer a power-hungry feature without sacrificing uptime or performance. 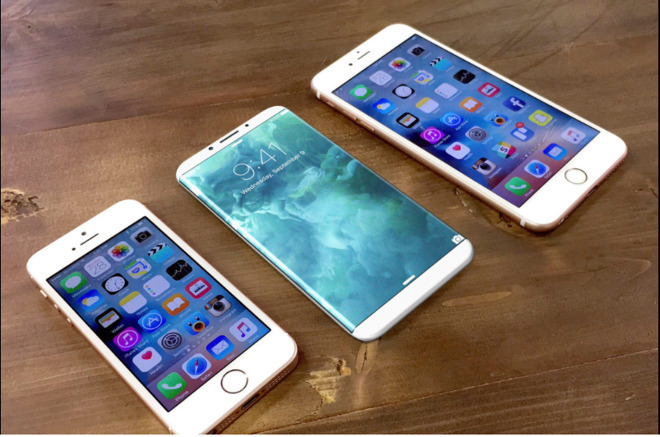 There are big expectations for this year's iPhone refresh, particularly an anticipated tenth-anniversary "iPhone 8" that is expected to have an entirely new industrial design, as well as an OLED display. OLED screens are somewhat common on handsets that compete with the iPhone, but they run at 60Hz (including Samsung's Gear VR). That's not to say 120Hz smartphones are impossible with current technology —Sharp's Aquos mini line utilizes the company's proprietary IGZO display technology for dynamically updating refresh rate, ranging from 120Hz down to just 1Hz when idling. It's difficult to say when ProMotion might come to the iPhone, but don't be surprised if it isn't this year. 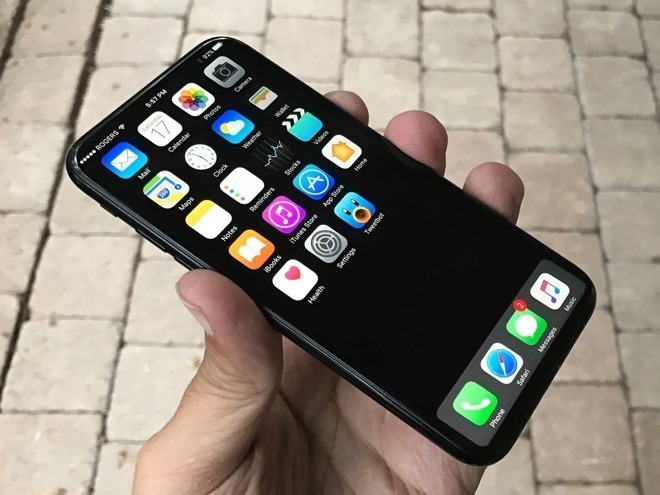 It might take more time for the technology to be refined and for Apple to be able to ramp it up to scale for producing tens of millions of iPhones every month. Also consider that there have been no supply chain rumors about 120Hz support in this year's iPhones. Then again, rumors ahead of the new iPad Pro unveiling made no mention of 120Hz technology either, making ProMotion something of a surprise when the hardware was unveiled earlier this month at WWDC. We'll find out in a few short months. With a big, beautiful Retina display, 120Hz ProMotion technology, and powerful A10X processor, it's likely that the best and most impressive examples of ARKit apps will be seen on Apple's iPad Pro. In developer documentation, Apple says that OpenGL, Metal, and CoreImage will handle most of the requirements for the 120Hz display. Apps must be recompiled in Xcode 9 to do so, but the same will also apply for ARKit apps. While not quite the immersive nature of VR, AR on Apple's iOS devices will offer new and unique ways of interacting with content. 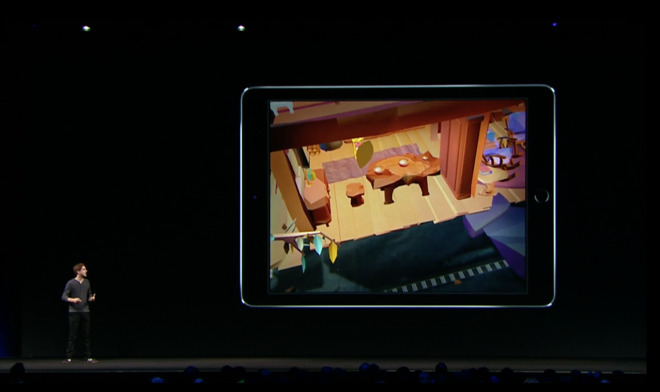 And the sheer size of Apple's massive developer community, along with the power of its ARKit tools, ensure that the new iPad Pro will be one of the best ways to experience cutting edge augmented reality applications. And in the process, Apple will be laying the groundwork for the future, when ProMotion will likely become the standard across its range of devices.